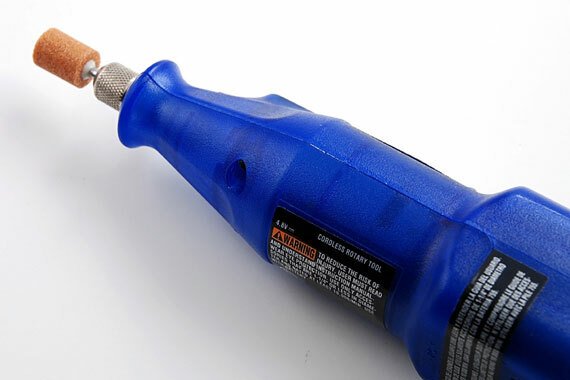 This blue, cordless rotary tool is designed for handheld use. The craftsman will place the correct bit on the rotary tool depending upon whether it's being used for rounding, sanding, smoothing, or even polishing. A cordless rotary tool can be useful for professionals as well as for homeowners.